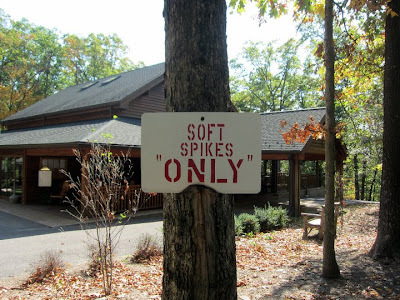 The “Blog” of “Unnecessary” Quotation Marks: "only"
If, like me, you don't know what soft spikes even are, you're probably ok with whatever. Thanks, Grant. They don’t want to advertise it, but the hard spikes are welcome here too! Well Darcy, given that "only" was written in larger letters, i label it a fail. What's the point of spikes that aren't hard enough to pierce anything?